Best Tuner for 5.7 Hemi Ram Reviews: Top-5 in April 2019! Tuners for 5.7 Hemi Ram – Buyer’s Guide! The Chrysler Hemi engines are a series of I6 and V8 gasoline engines with hemispherical combustion chambers. There have been three different types of Hemi engines built by Chrysler for automobiles: these include the 1951 to 1958 range, the 1964 to 1971 range, and 2003 to today range. While the Hemi is a Chrysler brand name, the engine itself is found in various forms with other automotive manufacturers. Tuners are used to improve performance, and performance can be for basic road driving, to hauling heavy loads, towing and racing. If you thought your OEM truck was powerful, just wait till you tweak it with a tuner, and that’s before you even add any aftermarket upgrades. 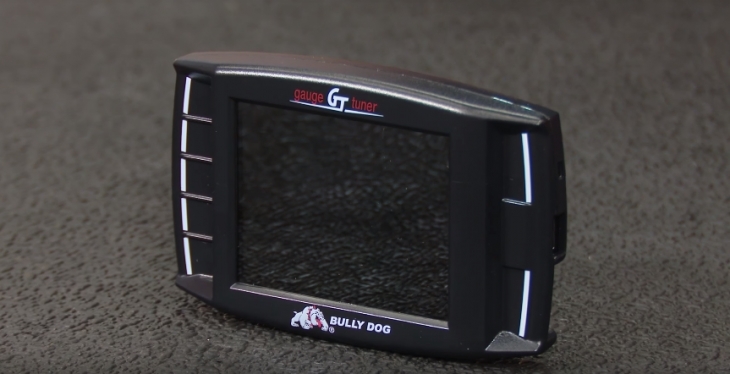 The Bully Dog GT Gas 40417 is a classic tuner for a classic engine and comes with 10 custom tune slots. If you think you have an inkling of what this device does, double the number and then multiply it by a hundred. 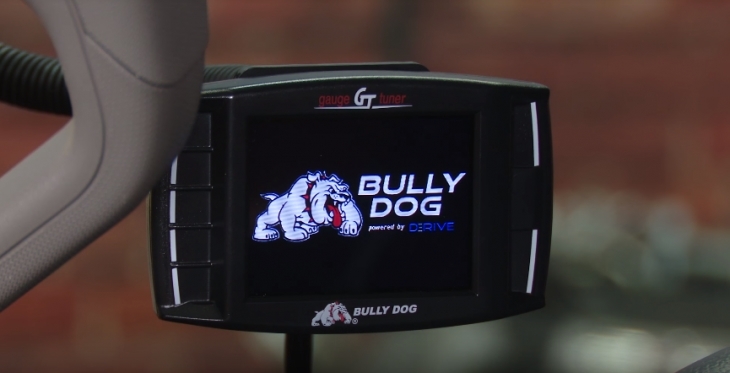 This is an exceptional Dyno Proven Performance tuner that delivers a “shitload” of parameters and will astound you every time you use it. You also get to set 10 custom tunes too. Let’s take a look at this list; I suggest you prepare a drink, if you smoke, make it a long one, and sit back comfortably. This review is in alphabetical order. There is an Accessory Delay option that let’s control what accessories remain on after the Hemi is off and the doors closed. This comes with an Auto Door Lock function. You can toggle the Active Fuel Management (AFM), and you get to Adjust Timing too. You get to Lock front and rear differentials in 4WD-Low, 4WD-Hi, and 2WD. Axle Ratio is adjustable as well as boost control for turbo/ supercharged engines. There is a Brake Torque Management (BTM) and a CAM Variation Relearn. Among the metrics is a Coolant Temperature with warning adjustment, and you can toggle the Daytime Running Lights. The model lets you Disable Traction Control and control the Engine Fan. You can adjust to using the fog lights and the high beams simultaneously and can toggle for Fuel Dynamics Compensation (FDC). You also get to enable and select a value for Engine Idle position. As well as enable the Multiple Displacement System (MDS). The metrics also include a Pyrometer Temperature Warning, and you can let the system relearn the adaptive transmission learning, (TAL). You get to Reset Engine Oil Life and the indicator, and you get a perfect Rev Limiter with Speed Limiter configuration system. You can switch between O2 sensors for correct Air to Fuel Ratios and adjust the throttle sensitivity. Obviously, this model will include Tire Size and TPMS adjustments for aftermarket changes. Transmission Shift Firmness is adjustable, and you also adjust the Transmission Shift Points, as well as give you a metric for the Transmission Temperature with Warning. To close up the list comes a Wide-Open Throttle Disable (WOT). After engine, close accessories control includes; Auto Door Lock, Daytime Running Lights, Head Light Delay, Headlight Approach Timer, Horn Chirp Length, Horn Chirp On Lock, Optical Flash On Lock, Seat Belt Chime, Smart Unlock Configuration, and Unlock Driver Door. Too many options presented above and not listed here. I think I get brain dead when reading the entire list of options, and guess what; this is not the only Bully dog model in this review, so be prepared for more. However, this is one model you want, and the difference between this one and the 40410, is that the 40417 comes with customizable tunes, so it’s more value for money, but should not be bought by a beginner since you will destroy the engine if you play around with the configurations. 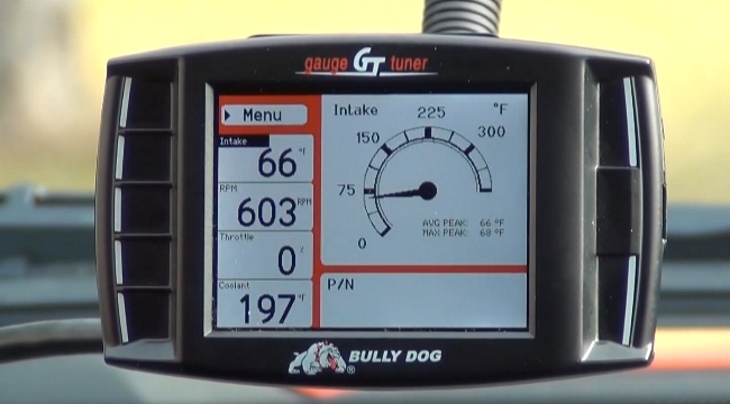 Bully Dog GT Gas 40410 is another perfect tuner, and its performance is only limited by the inability to custom tune. This is identical in performance to the 40417 model. The only difference is that you don’t get to customize tunes, everything else is the same. As such, this is a copy of the 40417 lists, just if you forgot what I wrote above. Among the metrics is a Coolant Temperature with warning adjustment, and you can toggle the Daytime Running Lights, and you Disable Traction Control and control the Engine Fan. You can adjust to using the fog lights and the high beams simultaneously and can toggle for Fuel Dynamics Compensation (FDC). You also get to enable and select a value for Engine Idle position. Enable the Multiple Displacement System (MDS). You get to Reset Engine Oil Life and the indicator, and you get a perfect Rev Limiter with Speed Limiter configuration system. 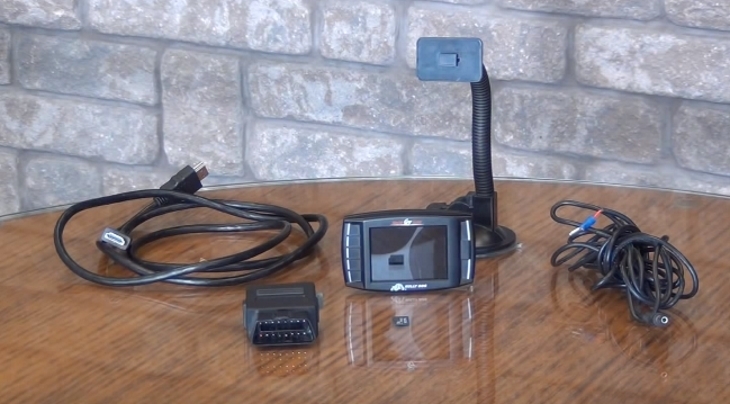 Switch between O2 sensors for correct Air to Fuel Ratios and adjust the throttle sensitivity. Configure Tire Size and TPMS adjustments for aftermarket changes. This is the ultimate value for money tuner for beginners that should not have access to custom tuning. You don’t want to mess with the engine until you know the engine better then you know how to pour water in a glass. All in all, exceptional value for money. The Trinity 2 (T2) EX is a combined performance tuner and a feature packed monitor/data logger device. This model comes with a big 5” screen for improved GUI. The all-new Trinity (T2) is an extremely advanced tuner, programmer and monitor all rolled into one nice but an expensive kit. Yes, its expensive kids, let daddy buy it for the big boys. However, if you get enough pocket money, you too can buy one and enjoy that large 5” screen with exceptional graphics and even more exceptional performance. This model works with 5 Volt Data Logging Inputs and Accepts Custom Tunes From CMR. You can Calibrate Speedometer for Gear Ratio and for tire size. There is a Cooling Fan Control, and you can Disable the ESP. 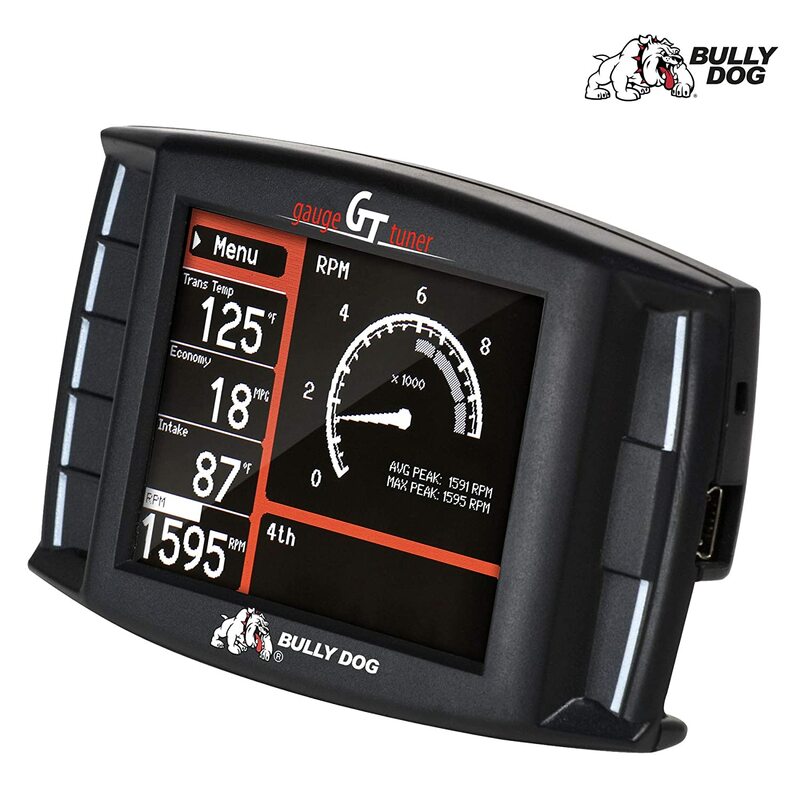 The Throttle Booster delivers exceptional results, and there is an accurate and efficient Fuel Rich Lean Adjustment with Spark Timing Advance Retard, and Idle RPM. This comes with the Top Speed and Rev Limiter, as well as adjustable Shift Points, Shift Firmness, and Torque Management Adjustment. 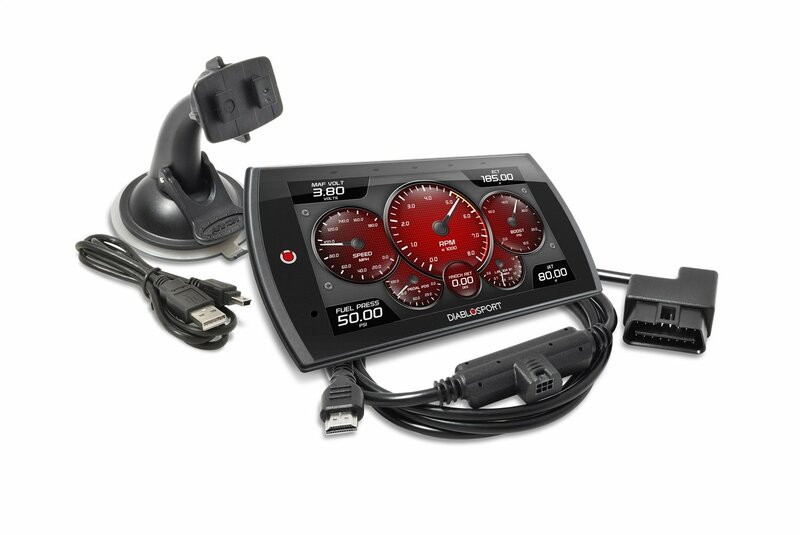 If you want big touch screen capability with exceptional control reaction times and are willing to spend more for more than get ready to enjoy your ride with this Star Trek style dashboard. 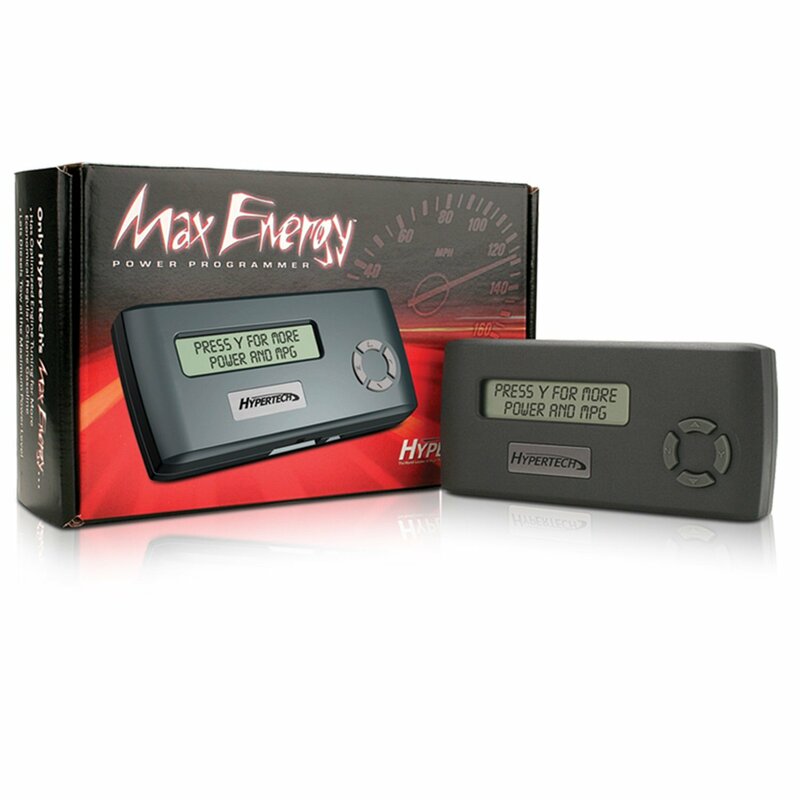 The Hypertech® 52502 Max Energy Programmer is a three-stage programmer for performance racing module only, so don’t get this for daily routines. There is not much to write about with this model, its an exceptional hand off three stage booster that comes with presets that you cannot play around with. 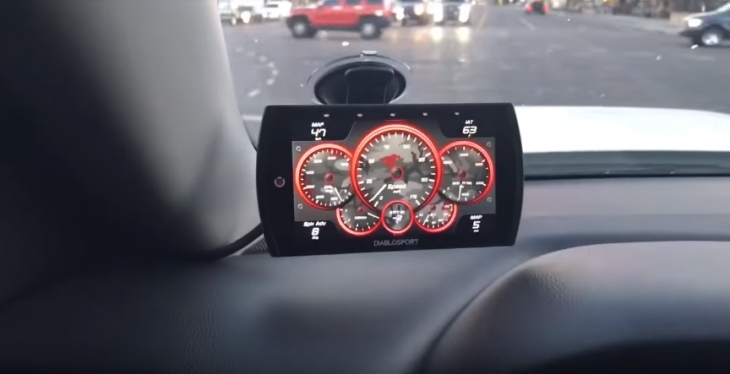 So what you get is a straightforward performance application tuner that will turn your vehicle into a beast with one click. Speedometer and Odometer Correction for Tire Size 22.5” – 44” with ¼” inch increments, a Return Back to Stock setting for when you need to take the vehicle into annual checkups, and all standard across the board DTCs Read and Clear functionality. This is an updateable internet model. If its simple you want, then simply you get, and its worth every dollar. This is a perfect 3 stage micro adjuster that will deliver perfect preface changes for all your racing requirements. This one leaves the headaches of over-optional models to those that like to be engine professors. 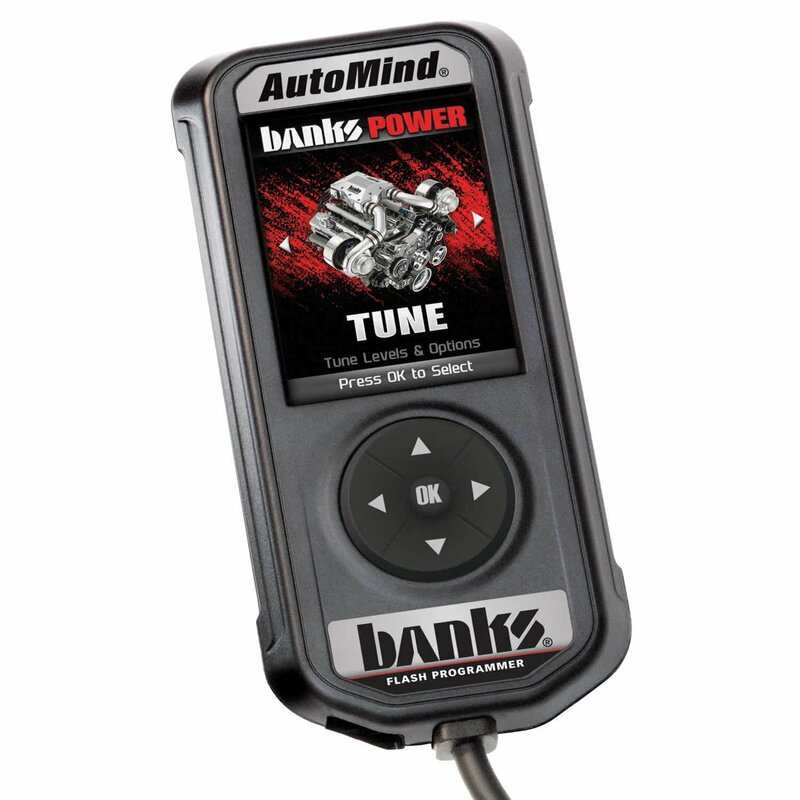 The Banks 66412 Automind 2 Programmer is a handheld programmer that delivers ready to run preset tunes to turn your application into a serious racing demon. The Banks® AutoMind 2 Programmer model 66412 might seem simple, especially with its hefty price tag, but it actually gives you something you never expected; peace of mind. While other models give you a zillion options to choose from, fancy screens with a zillion more dials to confuse you, the Automind 2 brings you the antithesis of modern; it brings you simply. Don’t start to think, stop worrying about micro-adjustments, and forget about confusing overloaded screens; this little beastie will provide the punching results you expect from a bare-knuckle street scrapper. You get a nice sized 2.8” screen that shows you exactly what you want and needs to see, and it delivers the tunes preset for performance. These include the ability to adjust or remove engine rev with top speed limiter. You also get to change the speedometer calibration based on tire size and gear ratio, and naturally, get tuned for torque management and shift points with shift firmness. This model lets you monitor performance and fuel economy, and naturally gives you a full range of reading and clear trouble codes. The price might seem high when you compare this to the more elaborate and versatile models, but what the Banks® AutoMind 2 Programmer model 66412 succeeds in doing is removing doubt and trepidation. In the words of a famous Brooklyn street fighter, youse gets whats yous pays for! Tuners for 3.5 Ecoboost – Mechanic’s Guide! Batteries for Ford F150 – Buyer’s Guide!